Those are the magic words. Why do I click things? MY EYES! Mr. Tines wrote: Those are the magic words. Too late to Christmas-up my avatar, but I altered my sig slightly to fit. -Am I right side up or upside down? I don't know, but she's totally a cutiepie. So blue hair and red eyes immediately makes me think of Rei (for obvious reasons) but she seems a lot more......confident? than Rei. in the sense of Rei has this sort of shy cuteness/creepy otherworldliness depending on what she is doing at the time. tl;dr: who is this girl and what is she from? I thought of Rei to. 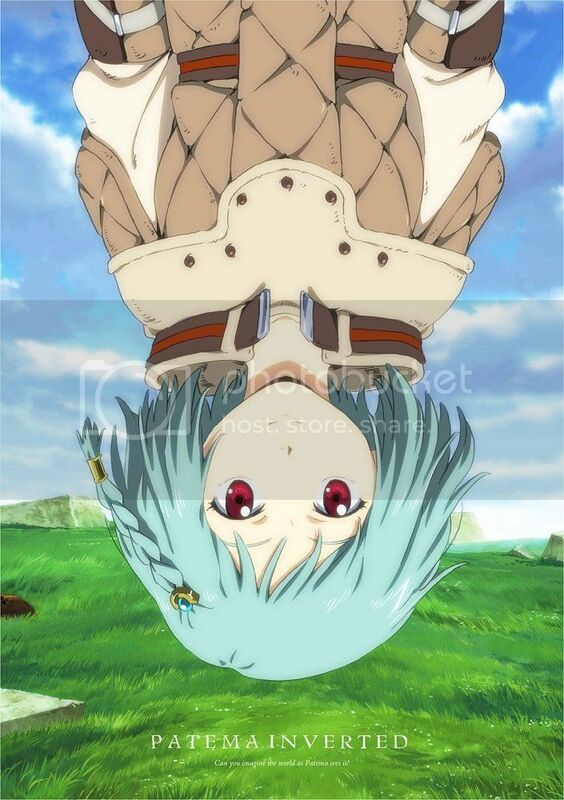 :) She's Patema from Patema inverted. It's about a group of people who live underground but there gravity is different than the people who live on the surface. i don't want to give to much away so I'll leave it at that. But it was a pretty good movie. A bit slow at the beginning but got better and better as it went on. That's the "upside down Rei" anime movie, huh? Thought the title was something else. But I heard good things about it awhile ago, gotta keep it in mind to watch sometime. Last edited by Sailor Star Dust on Mon Dec 01, 2014 8:59 pm, edited 1 time in total. That sounds like the kind of science that makes absolutley 0 sense when you stop and think about it......i LOVE IT. ::KL7:: wrote: I thought of Rei to. :) She's Patema from Patema inverted. Certainly an accurate descriptive title, innit? Ah, I remember that avatar. It was your very first. ::KL7:: wrote: -Am I right side up or upside down? Thar be two anwsers to that er question savvy? 3. Where be the rum?! THAR NEED BE MORE RUM! Rose has the right idea. Unflipped (what you currently have). Flipped. Makes you look more involved.